After 505 13th Malaysia General Election, the price of various goods has soared up. This price hike problem has caused low income group of people live in misery. I will be emotional during this festive season every year. Before retire, I would be busy preparing teaching materials for the coming year. Now I will recall the bitter and sweet of my teaching life for decades. 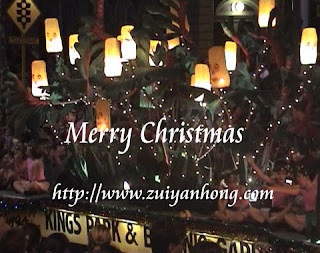 I would like to wish my friends and blog readers Merry Christmas and Happy New Year.